newWho to watch in the 2019 Red Bull MotoGP™ Rookies Cup? Valencia to host three-day MotoE test, including qualifying and race simulations. 'They are working with the Safety Commission. I think sooner or later we will go' – Marc Marquez. 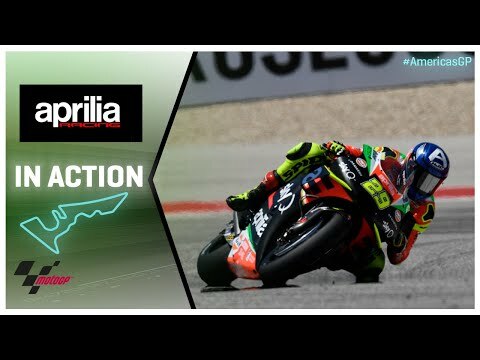 Aprilia's Aleix Espargaro: I'm in the best form of my MotoGP career autosport.comAleix Espargaro believes he is "riding better than ever in my life", but that Aprilia must conquer its tyre wear issues to give him any chance of MotoGP podiums. Marc Marquez Honda woes: MotoGP hero speaks out about Austin shocker - Daily Star Daily StarMARC MARQUEZ might have selected the wrong tyres in Austin. Valentino Rossi: Spanish Grand Prix in Jerez could be game changer for MotoGP legend - Daily Star Daily StarVALENTINO ROSSI believes championship glory is within his grasp if he can bag a podium finish in Jerez. MotoGP news: Reason for Marc Marquez and Cal Crutchlow crash revealed - Daily Star Daily StarMARC MARQUEZ and Cal Crutchlow were partially derailed in Austin by the Circuit of The Americas' dodgy track. MotoGP news: Cal Crutchlow outburst - did you see what he said about Jack Miller? - Daily Star Daily StarMOTOGP heavyweight Cal Crutchlow was fuming about his crash in Austin. Valentino Rossi and Marc Marquez can be derailed by Alex Rins - this is why - Daily Star Daily StarALEX RINS can beat Marc Marquez and Valentino Rossi to the title because he doesn't make mistakes. 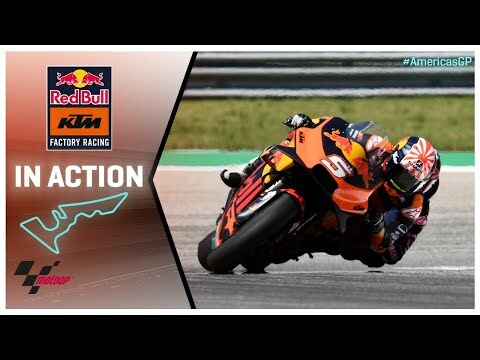 KTM requires 'aggressive' style, says MotoGP rookie Oliviera BSNRed Bull Tech3 KTM MotoGP rookie Miguel Oliviera believes the RC-16 needs to be ridden in an aggressive, Marc Marquez-style in order to work properly. Jorge Lorenzo sympathises with Maverick Vinales' problems autosport.comJorge Lorenzo says he can sympathise with Maverick Vinales' recent difficulties with MotoGP race starts and battling in the pack. Tech3: Syahrin 'big disappointment… we know his potential' crash.net'We really need to see Hafizh showing some progress and improvement, plus reducing the gap to his team-mate' - Herve Poncharal, Tech3 KTM. Valentino Rossi: MotoGP rival reveals secret to The Doctor’s incredible longevity - Daily Star Daily StarMOTOGP ace Andrea Dovizioso says the key to Valentino Rossi's longevity has been his ability to adapt mentally. Moto2: Luthi 'I started to scream' crash.net'I immediately started to scream in my helmet. It was an unbelievable feeling' - Thomas Luthi returns to the top step of the podium. MotoGP, Marquez: a 'bad' start means he's halfway there GPone EnglishMotoGP: Despite lying 4th in the standings, Marc has the same number of points as in 2018 and has had worse starts, the issues with the Honda are a worry. First top ten for Bagnaia, 'progression is good' crash.net'Today P9, last time P14, so the progression is good and we have to continue in this direction' – Francesco Bagnaia, Austin MotoGP. Oliveira: KTM needs to be ridden "Marquez-style" Motorsport.comTech 3 KTM rookie Miguel Oliveira believes the RC16 bike requires a riding style akin to reigning MotoGP champion Marc Marquez to get the most from it. Vinales remains lifted by matching front pace at Americas MotoGP crash.netMaverick Vinales feels he could “easily ride” at the same pace of the front-runners despite his race being wrecked by a ride-through penalty. MotoGP, Dovizioso: If Rossi were to suffer because of his defeats now, he'd self-destruct. GPone EnglishMotoGP: "I tip my hat to his desire, but with 9 world championships won at age 40, I wouldn't still be in MotoGP. I have other priorities." MotoGP, Domenicali: "If we put pressure on Marquez, he'll mess up." 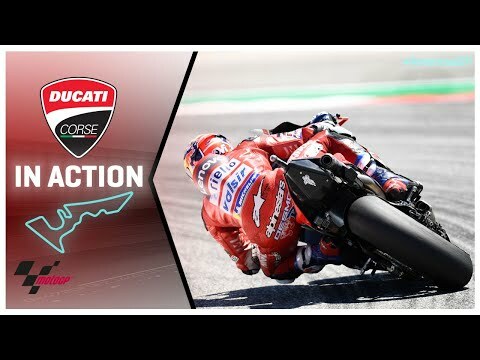 GPone EnglishMotoGP: VIDEO INTERVIEW - Ducati's CEO: "We can beat Marc on the track. Dovizioso and Bautista in front of everyone? They both surprised me." Pol Espargaro 'super excited' by KTM potential after Austin display autosport.comPol Espargaro says he is "super-excited" by KTM's potential in MotoGP this year, after claiming the Austrian marque's best dry-weather result to date. Cal Crutchlow TROLLS MotoGP pal with hilarious Instagram post - Daily Star Daily StarCAL CRUTCHLOW has taken to Instagram to poke fun at fellow MotoGP rider Jack Miller. BSB introduces MotoGP-style Long Lap penalty crash.netBSB championship organisers have introduced a Long Lap penalty for 2019. MotoGP: What will the calendar look like in the future? Motorcycle NewsRead about the MotoGP calendar and what it could look like in the future, direct from our expert MCN reporter. 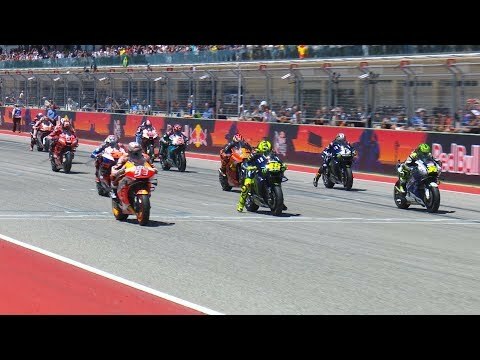 Video: Three things we learned from MotoGP's Austin race autosport.comMotoGP's Austin race was notable for Marc Marquez's winning streak ending, but it also provided plenty of intrigue. MotoGP Austin: Lorenzo had 'strange mistakes' before Honda failure autosport.comJorge Lorenzo says he was making "strange mistakes" in the opening stages of MotoGP's Grand Prix of the Americas before his Honda bike failed. 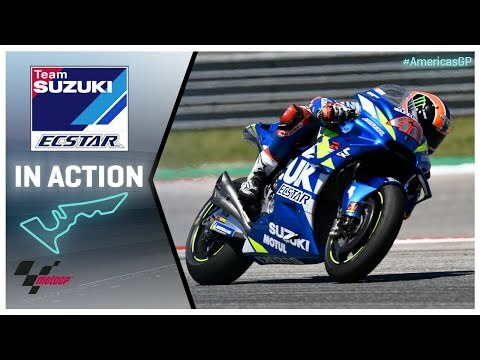 Suzuki MotoGP rider Mir angered by Austin pace after ride-through autosport.comSuzuki MotoGP rookie Joan Mir says the speed he showed after a jump-start penalty at Austin left him feeling angry that he missed out on a strong finish. 'My feet came off' - riders ask for COTA changes crash.netFull resurfacing unlikely, but riders hope critical areas for COTA bumps can be repaired for next year's MotoGP. Morbidelli ‘very, very happy’ with MotoGP best crash.netFranco Morbidelli expresses his delight at securing a personal best MotoGP finish in Austin; “We need to work, we need to improve to get those 8. Three things we learned from Austin's MotoGP race Motorsport.comThree things we learned from the Grand Prix of the Americas MotoGP race at COTA in Austin. Crutchlow ‘pissed’ at losing ‘easy podium’ crash.netCal Crutchlow laments “a big missed opportunity” after crashing out of the Grand Prix of the Americas; “when we are behind people it looks like we are. Dovizioso: Marquez isn't completely 'under control' in MotoGP battle autosport.comDucati MotoGP rider Andrea Dovizioso says his rival Marc Marquez's crash at Austin shows the Spaniard "doesn't have everything under control"
Maverick Vinales explains why he took wrong penalty in Austin MotoGP autosport.comYamaha rider Maverick Vinales has explained why he initially served the wrong penalty for a jump start during the Austin MotoGP race. MotoGP Austin: Honda 'unstable under braking' says Crutchlow BSNCrutchlow crashed out of the Austin MotoGP round under braking for turn 12. MotoGP Austin: Luthi takes Moto2 win, Lowes seventh BSNLuthi takes his first Moto2 win in two years at the Austin Moto2 round. Marc Marquez calls Austin MotoGP crash 'hard to understand' autosport.comMarc Marquez says the crash that brought his MotoGP win streak at Austin to an abrupt end was "hard to understand" because he was not pushing to the limit. MotoGP Austin: Sunday times and race results BSNTimes and results from Sunday's MotoGP, Moto2 and Moto3 races in Austin. Austin MotoGP - Race Day as it happened crash.netLive updates, quotes and results from Sunday's MotoGP, Moto2 and Moto3 races at COTA in Austin, Texas! Zarco: KTM can't give me 'solution' to MotoGP struggles yet autosport.comJohann Zarco says he faces a wait for KTM to be able to help him out of his current slump after qualifying 19th for Sunday's Austin MotoGP race. MotoGP Austin: Saturday qualifying times and results BSNTimes and results from Saturday's MotoGP, Moto2 and Moto3 free practice and qualifying sessions from Austin. Valentino Rossi wants Yamaha to join MotoGP rear winglet trend autosport.comValentino Rossi is pushing Yamaha to develop a winglet similar to Ducati's controversial device, which has now been adopted by Honda too. MotoGP news: Maverick Vinales fires warning to Marc Marquez and Andrea Dovizioso - Daily Star Daily StarYAMAHA ace Maverick Vinales has warned the MotoGP elite that he has nothing to lose in Austin. Jorge Lorezno: MotoGP star delivers update on his condition ahead of Austin - Daily Star Daily StarJORGE LORENZO says he will bounce back in Austin this weekend. MotoGP, Michelin: "We don't know what to expect in Austin" GPone EnglishMotoGP: Work has been done on the track to smooth out the bumps: "Until Friday, we don't completely know how the circuit will behave." Oliveira 'next step', Syahrin closing on points crash.netMiguel Oliveira looking to make 'next steps with the bike and my riding' after challenging Pol Espargaro in Argentina. Valentino Rossi EXCLUSIVE: MotoGP ace is facing technical woes... and this is his reaction - Daily Star Daily StarVALENTINO ROSSI is facing another frustrating season at Yamaha, but the Doctor is happy at the Japanese heavyweights. Nicky Hayden tributes at COTA crash.netNicky Hayden's #69 to be retired from MotoGP this weekend, title-winning RCV on display at front of grid. Bautista: I'd only return to MotoGP on factory bike Motorsport.comAlvaro Bautista says he would only consider offers from factory teams to return to MotoGP after winning the first nine races of the new World Superbike season. MotoGP news: Marc Marquez wades into Cal Crutchlow ‘jump start’ controversy - Daily Star Daily StarMARC MARQUEZ says he understands Cal Crutchlow's frustration after the British MotoGP hero's Argentina shocker. 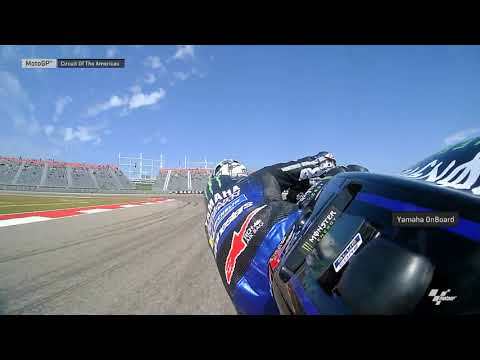 Race results from the 2015 COTA MotoGP in Austin, Texas, round 2 of 18. Warm-up results from the 2015 COTA MotoGP in Austin, Texas, round 2 of 18. Full Qualifying results and grid line-up for the 2015 COTA MotoGP in Austin, Texas, round 2 of 18. Qualifying (1) results from the 2015 COTA MotoGP in Austin, Texas, round 2 of 18. Free Practice (4) results from the 2015 COTA MotoGP in Austin, Texas, round 2 of 18. Free Practice (3) results from the 2015 COTA MotoGP in Austin, Texas, round 2 of 18. Free Practice (2) results from the 2015 COTA MotoGP in Austin, Texas, round 2 of 18. Free Practice (1) results from the 2015 COTA MotoGP in Austin, Texas, round 2 of 18. Race results from the 2015 Qatar MotoGP, round 1 of 18. Full Qualifying results and grid line-up for the 2015 Qatar MotoGP, round 1 of 18. I now have right bikes to land North West 200 win, says Paul Jordan Belfast TelegraphMagherafelt's Paul Jordan has podium glory in his sights at the 2019 fonaCAB International North West 200 in association with Nicholl Oils. In The Paddock Column Cycle NewsThere's a couple of riders currently ruining racing. They're just too good. I'm talking about Marc Marquez and compatriot Alvaro Bautista. 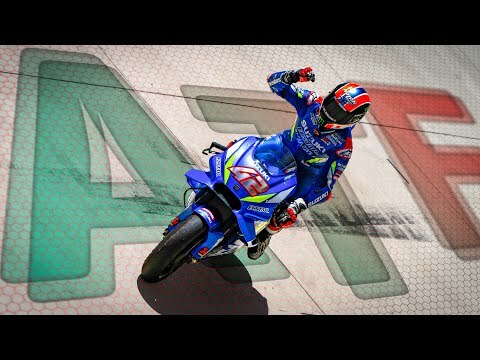 How I ride: Álex Rins Motor SportThree days before he rode to his first MotoGP victory at COTA we sat down with Álex Rins to find out how he extracts the maximum from Suzuki's GSX-RR. Redding picks up debut podium in British Superbikes Motorsport.comFormer MotoGP rider Scott Redding opened his 2019 British Superbike campaign with what he described as a “not deserved” podium finish at Silverstone. MO Tested: Shoei GT-Air II + Sena SRL2 Review Motorcycle.comQuieter and more aerodynamic plus an integrated Sena communicator, the Shoei GT-Air II is better than its predesessor in all the ways that matter. Bautista's dominance a "disaster" for WSBK - Rea Motorsport.com, Edition: GlobalJonathan Rea believes that the dominance shown by Alvaro Bautista and Ducati World Superbike this season is a 'disaster' for the championship. MotoGP, Roberts: "Rossi surprises me. 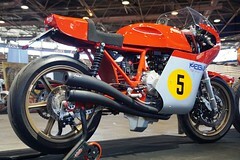 Rainey similar, but with a more violent bike" GPone EnglishMotoGP: The legendary Kenny: "Wayne could have had an equally long career, but at the time the bikes were wild. 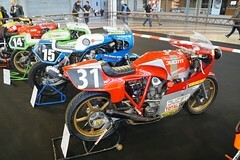 Marquez. Only he can beat himself. MotoGP Mutterings: 2019 Grand Prix of the Americas, part 3 Motor SportThe horror of sixth-gear tank-slappers, playing tricks with Michelin's front slicks and Ducati's ongoing ergonomics work Read part one. Petrucci ‘happy with points, unhappy with distance’ crash.netDanilo Petrucci is relieved to rescue a top six finish after finding himself “in trouble” on Friday; “I'm unhappy about the distance, the gap between. MotoGP Mutterings: 2019 Grand Prix of the Americas Motor SportAt COTA Suzuki took its third victory in its 245th MotoGP race and the GSX-RR may finally be a championship contender. MotoGP: Riders Speak To The Media Ahead Of The Red Bull Grand Prix Of The Americas RoadracingWorld.comMotoGP: Riders Speak To The Media Ahead Of The Red Bull Grand Prix Of The Americas. 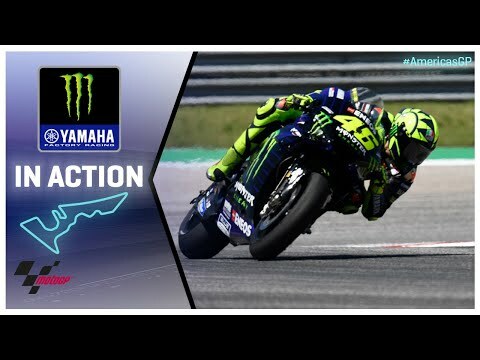 Argentina: MotoGP Championship standings crash.netNew World Championship standings after the 2019 Argentina MotoGP at Termas de Rio Hondo, round 2 of 19. MotoGP, Mike Leitner: KTM doesn't see the benefit of aerodynamics in our sport GPone EnglishMotoGP: "We've worked hard to limit their importance. The FIM decision opens a book, we'll spend more without benefits for the show"
Watch: Costa Rican motorbike riders have a fist-fight on track Extra.ieTwo motorbike riders had a fist fight fight on track after clashing in the Costa Rican National Motorbike Championship. MotoGP, Ducati's discourtesy at Capirossi and Bayliss GPone EnglishMotoGP: I RECALL "They didn't trust Loris and Troy and called for a test at Mugello Rubens Xaus, who rode slower". Valentino Rossi: Six reasons why fans continue their devotion to the MotoGP superstar BBC SportValentino Rossi is 40 and has not won a MotoGP title for 10 years - but that has not stopped fans obsessing over the racing icon. newLes Reines de l'Endurance s'exposent dès le hall d'entrée ! 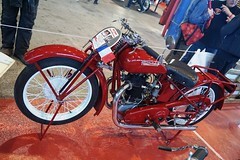 Les Reines de l'Endurance s'exposent dès le hall d'entrée ! 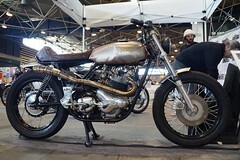 newPas mal, ce scrambler Norton ! Pas mal, ce scrambler Norton ! Jorge Lorenzo admits 'giving up' with Honda bike as MotoGP woes drag on - Daily Star Daily StarJORGE LORENZO says he had repeated issues with his Honda in Austin. Espargaro "super-excited" after best dry KTM result Motorsport.comPol Espargaro says he is 'super-excited' by KTM's potential in MotoGP this year, after claiming the Austrian marque's best dry-weather result to date at Austin. 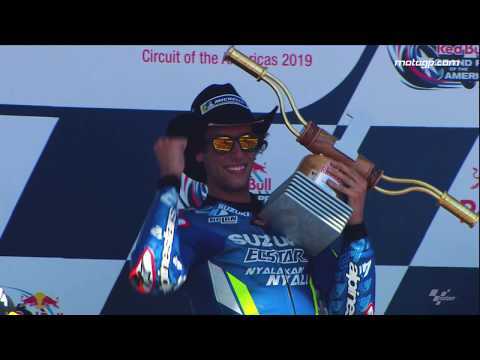 COTA MotoGP Results 2019 (Updated) Cycle NewsAll the MotoGP, Moto2 and Moto3 action from the 2019 Red Bull Grand Prix of the Americas at the Circuit of the Americas in Austin, Texas. MotoGP live stream free, TV channel and start time for Grand Prix of the Americas The SunThe season is starting to get into full swing as the action moves to Austin and the Circuit of the Americas. Miller: I tend to shut eyes, hang on pretty good crash.netJack Miller explains his speed at the Circuit of the Americas when other Ducati riders appear to be struggling; “[I'm] happy to be top Ducati, and. MotoGP Austin: Windy conditions cause issues for Vinales BSNThe windy conditions in COTA caused serious issues for Maverick Vinales. ​MotoGP: How To Watch The Action This Weekend At Circuit Of The Americas RoadracingWorld.comMotoGP: How To Watch The Action This Weekend At Circuit Of The Americas. MotoGP COTA practice cancelled The Checkered FlagWith large storms hitting the Circuit of the Americas (COTA) on Saturday morning, all three classes have had their Free Practice 3 session canceled. Austin MotoGP - Saturday as it happened crash.netLive updates, quotes and results from Saturday's MotoGP Qualifying at COTA in Austin, Texas! F1 Chinese Grand Prix - Qualifying Results crash.netFull results from qualifying for the Chinese Grand Prix at the Shanghai International Circuit, round three of the 2019 Formula 1 season. Moto2 Austin: Schrotter holds off rivals to claim pole position crash.netMarcel Schrotter survived a flurry of late fast laps to sit on pole ahead of the Moto2 Grand Prix of the Americas at COTA. Albon ruled out of China qualifying after FP3 crash crash.netA big Crash at the final corner late in FP3 leaves Albon out of qualifying in China. MotoGP: Suzuki's Alex Rins Aiming To Do Better During Qualifying At COTA RoadracingWorld.comMotoGP: Suzuki's Alex Rins Aiming To Do Better During Qualifying At COTA. USA Grand Prix schedule: MotoGP,USA Gra Moto2 and Moto3 timings at Circuit of the Americas - Daily Star Daily StarMOTOGP is back this weekend and Starsport is on hand to give you all the timings for the clash at Circuit of the Americas in Austin. MotoGP Austin: Nicky Hayden tributes planned at Circuit of the Americas - Daily Star Daily StarMOTOGP legend Nicky Hayden will be remembered during this weekend's USA Grand Prix at Circuit of the Americas in Austin. MotoGP news: Alex Rins fires shots at Valentino Rossi and Andrea Dovizioso - Daily Star Daily StarMOTOGP ace Alex Rins says he could have finished ahead of Valentino Rossi and Andrea Dovizioso. Rins admits he must go "more on the limit" in qualifying Motorsport.comAlex Rins admits he must “put myself more on the limit” in qualifying for future MotoGP races after recovering from 16th to finish in the top five in Argentina. Morbidelli: It's great luck we’re fine crash.netFranco Morbidelli escapes injury in a last lap collision with Maverick Viñales; feels he had the pace to run with Valentino Rossi and Andrea Dovizioso. Tech 3 boss admits feeling "very angry" at Syahrin woes Motorsport.comTech 3 KTM team boss Herve Poncharal admits the struggles of his rider Hafizh Syahrin left him “very angry” during the Argentina MotoGP weekend. MotoGP Argentina latest: Marc Marquez given WARNING by Jack Miller before race - Daily Star Daily StarMOTOGP superstar Marc Marquez has been warned by Jack Miller that he's gunning for him. Rins puzzled by Suzuki's loss of form in Argentina Motorsport.comAlex Rins admits he and his Suzuki MotoGP team do not have a good explanation for their dramatic loss of form in qualifying for the Argentina Grand Prix. Argentina MotoGP - Race as it happened crash.netLive updates, quotes and results from Sunday's MotoGP, Moto2 and Moto3 races at Termas de Rio Hondo, Argentina! MotoGP hero Jorge Lorenzo reveals TRUTH about Argentina nightmare after qualifying shocker - Daily Star Daily StarMOTOGP heavyweight Jorge Lorenzo says setup changes to his Honda derailed him in qualifying. Argentina MotoGP - Race Results crash.netRace results from the 2019 Argentina MotoGP at Termas de Rio Hondo, round 2 of 19. 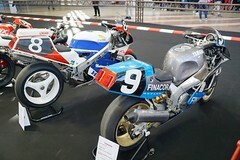 MotoGP Rio Hondo Results 2019 - Argentine Grand Prix Motorcycle.comMarc Marquez had things his way all weekend, taking his first win of the season and assuming the lead in the 2019 MotoGP championship. Moto2 Argentina - Race Results crash.netRace results from the 2019 Argentina Moto2 Grand Prix, round 2 of 19. Formula 1 Bahrain Grand Prix - Qualifying Results crash.netFull results from qualifying for the Bahrain Grand Prix at Sakhir, round two of the 2019 Formula 1 season. Moto3 Argentina: Magnificent Masia claims career first pole crash.netJaume Masia came out on top of the late scramble for pole position ahead of the Moto3 Grand Prix in Argentina. Argentina MotoGP qualifying - Autosport Live autosport.com10:49 Welcome to Motorsport Network's live coverage of the qualifying session for MotoGP's Argentine Grand Prix, the second round of the 2019 season. 10:50. 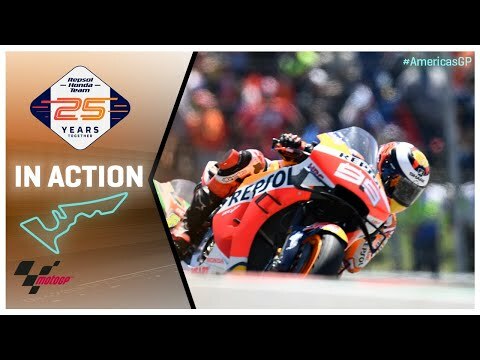 WATCH: Live Pre-Show – MotoGP – Motul Grand Prix of Argentina Qualifying FOX Sports AsiaWatch the build up action LIVE from the Motul Grand Prix of Argentina 2019 right here on FOX Sports Asia as the MotoGP action continues. MotoGP ace Jorge Lorenzo gives WORRYING update ahead of Argentina Grand Prix - Daily Star Daily StarMOTOGP hero Jorge Lorenzo has hinted that he could struggle in Argentina. 2015 MotoGP World Championship standings after round 2 of 18 at Austn, Texas.